Victoria House is a wonderfully spacious modern six bedroom, four bathroom modern family holiday home with a large well maintained enclosed rear garden in the village of Bembridge, a two minute walk to the village centre and within ten minutes walk of the beaches and harbour - or a minute by car. There is parking on the drive for three cars. With two king size, two double and two twin bedrooms, the master bedroom and one of the doubles are en-suite - the master bedroom has a large terrace with a table and chairs overlooking the gardens. There is a family bathroom, two guest wc's and a ground floor walk-in shower. Victoria House's ground floor is great for family holidays with a large modern fully equipped kitchen - including a range cooker and double oven. A spacious dining room leads through to the lounge. In addition there is a second reception room and a further children's den / games room - ideal for allowing the adults time to unwind and enjoy their holiday in one of Bembridge's finest holiday homes. Equipped to a high standard throughout, Victoria House includes three smart tv's, Nespresso coffee machine, DAB radio, wii and family board games and a games table with Air Hockey, washing machine/dryer and a full size dishwasher. Often holidaymakers need to check their emails and respond - Victoria House has a home office area with a desk and plenty of natural light (wifi is free). While the house is a delight the gardens also set it aside from other holiday homes. Enclosed all sides the large lawn makes it an ideal outdoor playground for children and a great place for adults to relax. With a cricket set, basketball and other equipment outside games and fun for all the family are assured. 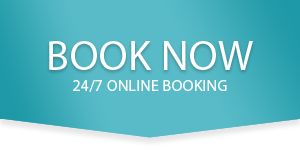 To book Victoria House for your next holiday call us on 01983 873163 or complete the booking request.